Every January we’re bombarded with messaging about how we have a NEW year to be a NEW us, and it feels like a whole lot of pressure. Up in our little Vermont nook, we‘ve been talking about the art of incremental growth: what if we don’t want a total makeover—what if we just want to get a little bit better, for ourselves and for our families, at the pace that real life allows? That seems like a reasonable pursuit. 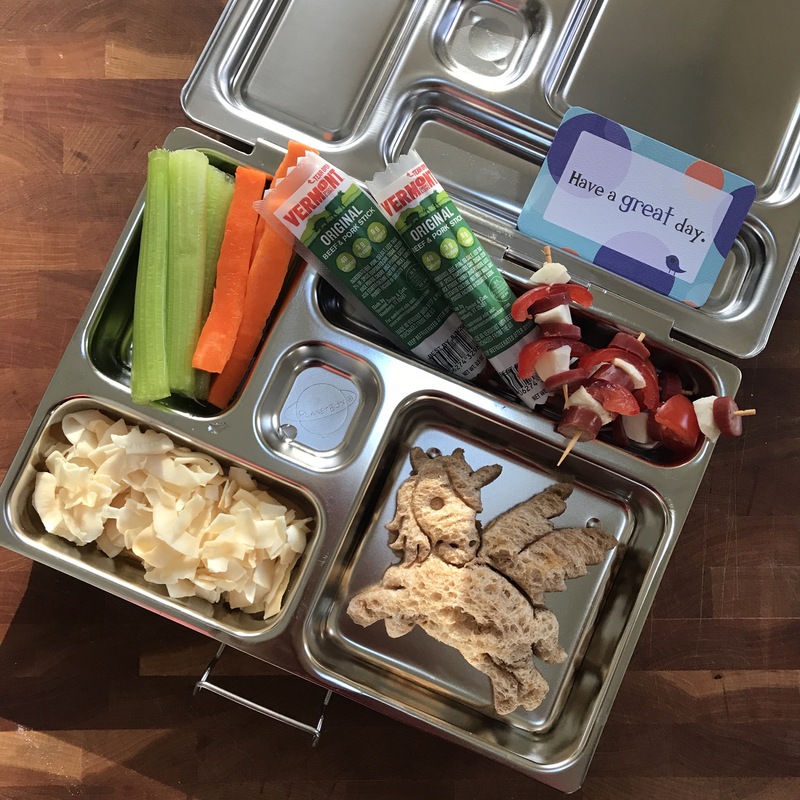 This brings us to our love of a sweetly packed lunchbox: A moment in our little ones’ day that not only nurtures their nutrition, but serves as an intimate exchange during a time that you’re most often separated. 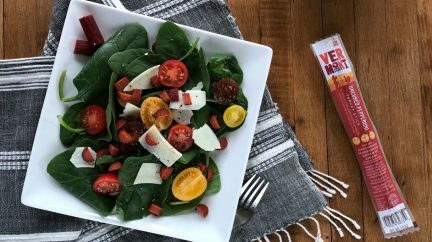 And don’t forget about you: Taking a few minutes the night before to plan a proper lunch for yourself can make every bit of difference in a daily routine that keeps you focused and fueled. Goals. In every case, the path to success is lined with preparation. 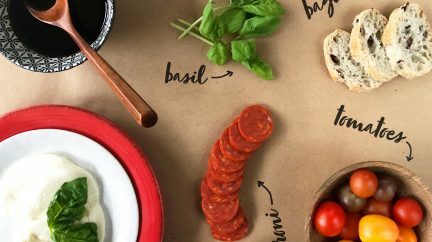 Here are the top 5 items in our lunchbox lineup that we’re counting on in 2018. Surprise! We’re a big fan of adding our mini meat sticks to the lunchbox. 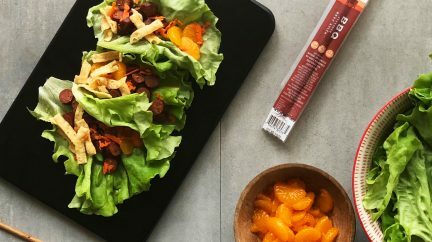 Vermont Smoke & Cure Mini Meat Sticks are an easy, delicious packable protein that won’t return home at the end of the day! Plus, you can feel good about packing a high protein, low-sugar, antibiotic-free, snack option. These notecards are perfect when you want to make your kids’ lunches EXTRA special, but there just aren’t enough hours in the day for handwritten notes. Lunchbox Love Notes come in different editions with inspirational quotes, fun facts, warm messages, and riddles. They’re the perfect way to make a connection when you can’t physically be there. The only thing better than a peanut butter & jelly sandwich is a peanut butter & jelly sandwich in the shape of a dinosaur, tractor, unicorn, or any of the other awesome shapes The Lunch Punch sandwich cutters come in. Like doing things a little extra but hate wasting food? Lunch Punch sandwich cutters are designed to only cut the crust, reducing waste. Plus, they’re BPA Free, 100% recyclable (including the packaging! ), dishwasher friendly, and safe for kids to use. We are obsessed with Planet Boxes here at Vermont Smoke & Cure! They are perfect for kids and adults that like to bring lunches from home. Switching out your typical brown bag for a PlanetBox will reduce waste and keep fresh foods neat and separated. They are easy to clean and dishwasher safe. To top it off, they come with fun, customizable magnets that your kids will love. Last, but definitely not least, Bare Snacks are our favorite sweet snack addition to lunchboxes. Bare Snacks are made from real fruit and oven baked (never fried or freeze dried.) They come in a variety of flavors – whether you’re a coconut, apple, banana fan, or love it all!